Hello folks, Rachel here from theHealthBase with another fun and informative article for your reading pleasure. Today I will be looking at something that many of us pay little attention to. This is silly as it’s ultimately to our detriment that we do so. The thing that I’m referring to is our morning routine. Now, we all have the same general habits to a certain extent. We all wake up for work; we might shave or shower; we eat some breakfast; we get dressed for the day ahead; and then we’re out the door. Whether this takes twenty minutes or two hours, it really depends on a person to person basis. However, there is a small minority of people who don’t view this period of the day as simply a routine set off chores and tasks that they need to accomplish in order to get ready for work. These people see the morning as a time to perfectly set themselves up for the day ahead in three key areas: physically, mentally, and emotionally. So, the question is, how do these people do it? What habits do they have that ensures they are fully energized and focused when they begin their work day? 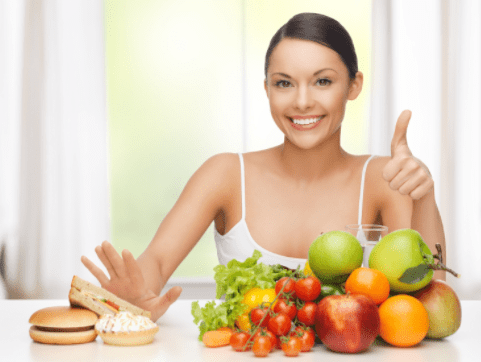 The above is the crux of this article and, as such, I will be focusing on outlining ten of the best ways to achieve a dynamite start to your day...plus a super effective Cheat Method!! A great method to start your day in a positive manner is to get a lovely blast of sunlight right from the get go! 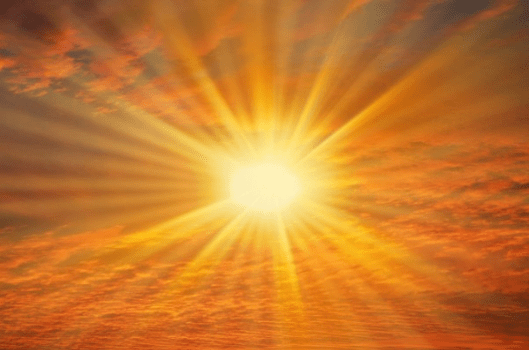 Sunlight provides the body with vital Vitamin D which is essential for so many different functions of our body. One such benefit is that the sun’s rays will replenish our cells with natural goodness that works to keep our skin fresh and young. This is why we always feel great when the weather is fine! A great way of achieving this morning dose of sunlight is to do some outdoor yoga first thing, or to go for a brisk run. I’ll next look at these two potential additions to your routine. This is an activity that I personally swear by. I have been doing morning yoga for the best part of two years now and I can honestly say it has significantly improved my life for the better. Not only is yoga hugely beneficial in general terms, these benefits are increased to a huge extent when this activity is undertaken in the morning time. When we are asleep, we are in a stationary position for 6 – 8 hours, depending on your sleeping habits. Whenever our bodies are in such a position, it is vital that we next give our back and limbs a good stretching to lessen the stiffness that has set in. The same can be said after a long day sitting at a desk at work. Doing yoga in the morning is the ideal way of preparing your body for the coming day. Also, due to the breathing that’s involved, it helps to create a peaceful state of mind that many people often miss out in the early part of the day. Now, I know what you’re thinking – Rachel, I don’t have time to learn yoga let alone do it every day!! I understand this as I thought the exact same thing when someone mentioned daily yoga to me. My advice is the following: Google 5 – 10 of the most common and easy to do yoga poses. Then, spare 10 minutes at the start of your day to perform these poses. It’s as simple as that – very little effort and time is actually required. You can thank me later. Nothing wakes the body and mind up more quickly than good ole exercise! Whether it be running or doing some weights, physically moving yourself or some sort of weight at a good intensity is a sure-fire way to get the blood pumping throughout your body. Let’s be honest – this is the one that most people will instantly dismiss!! The thoughts of exercising before work is something many a person would shudder at. I understand this because I am one of those people! This one is as unappealing as it sounds!! However, despite this, its effectiveness is without question. A cold shower is an unbelievable way of waking the body and mind as well as refreshing both. The hardest thing to do when you wake up is to lift that mental fog of sleep that clings to our brains. It’s because of this fog that so many people go through their early day routine on auto-pilot - being in such a mental state is not a good way to start the day. The majority of people turn to coffee in order to banish this fog. A cold shower is just as effective and it’s far less of a concern for your health! Coffee in moderation is fine, but if you’re having a cup to start every work day then this definitely cannot be described as a moderate intake. The hardest part about a cold shower is naturally the physical action of stepping under the cold water. However, once that brief second or two of unpleasantness has passed, you’ll soon find yourself wide awake and rather invigorated. The human body is essentially an organic machine, and, like any machine, our bodies need the correct intake of fuel/nutrition if they are to work at their optimal levels. The proper foods and liquids will then result in not only our bodies working as they are meant to, but also our minds. The morning time is naturally a vital part of the day with regards to food. It’s at this time when you will break your fast and, as such, what you put into your body will go a long way in setting you up for a productive (or unproductive) day. When it comes to what foods are actually best for the start of your day, there is a myriad of differing opinions out there. In my own personal experience, if you keep it simple and use common sense then you cannot really go wrong. Porridge, fresh fruit, eggs, nuts, seeds, healthy yogurts, and plenty of water. Simples! This is another habit that I have taken up in recent times. A friend of mine advised me to try read something of substance every morning and it actually makes a lot of sense if you think about it. Whether it be reading the paper, a novel, or something to do with work, the act of reading forces the mind to focus and engage its critical thinking faculties. This is a perfect remedy for the sleepy mental state that can sometimes follow us from the bed. It’s worth pointing out that the antithesis to this would be, of course, the television. Watching the TV is a sure-fire way to cause the brain to switch off and this is the last thing that you want in the morning time. The exception to this, though, would be if you watch the early news broadcasts in order to keep up to date with what’s been going on in the world. 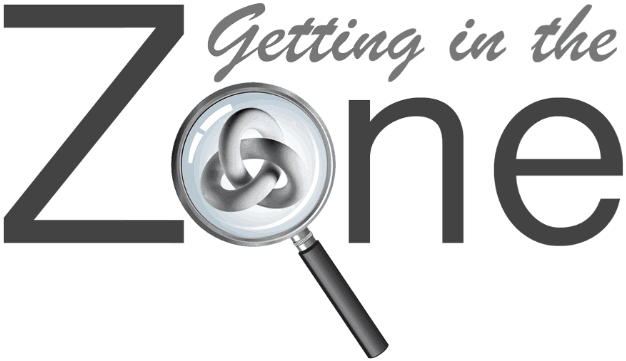 “Getting in the zone” is a phrase that we’ve all heard and it’s something that we all have a reasonable gist of what it means, though each person’s definition is usually varying. For me, getting in the zone means possessing a mental state where I am focused, motivated, energized, and confident. When my mental outlook is like this, then I feel at my absolute best – ready and willing to take on whatever the day can throw at me. But how do we get into this ideal mental zone? And how do we stay there? Personally, and again everyone is different, I find the most effective way of achieving this state of mental zen is to constantly remind myself to live in the "Now" - i.e. to focus on what’s happening in real time and not on what has happened or what could happen. In the modern world, there are so many things going on in our lives. We are constantly bombarded from every angle by countless external pressures; responsibilities; wishes; and expectations. As such, it can be very easy to feel swamped. Having the ability to cognitively take a step backward, reaffirm who you are, and to take stock of your life and what needs to be done, is a superb way of dealing with negative mental energy that can lead to angst and even depression. Try it sometime! OK, I call this a cheat habit but that’s only because it takes far less effort and time than the 7 habits I’ve mentioned above!! Some people aren’t into exercising in the morning. Nor are they fans of cold showers or daily yoga. Heck, some people are in work so early that they don’t even have time to read a newspaper or cook a healthy breakfast! I get it. The lives we lead today are insanely busy. You don’t have the time for alternatives & simply want a way to jump-start your brain! 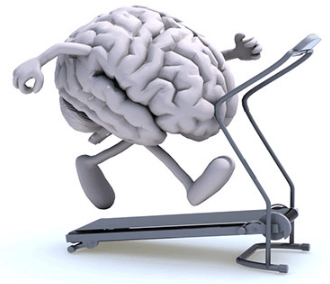 The Onnit Alpha Brain Review – Worth the Hype?